The obvious difference is that Christening are usually conducted in a church and Godparents are chosen to guide baby in a christian way of life whereas in a Naming ceremony or Naming day there is no religious content and baby is welcomed into the family and supporting adults are chosen instead of Godparents. A naming ceremony is conducted by a Civil Celebrant such as Diana Saxby from Grace The day and can take place wherever you like which can make it really personal to each family, the whole ceremony is hand written by Diana alongside the parents and is really special.. 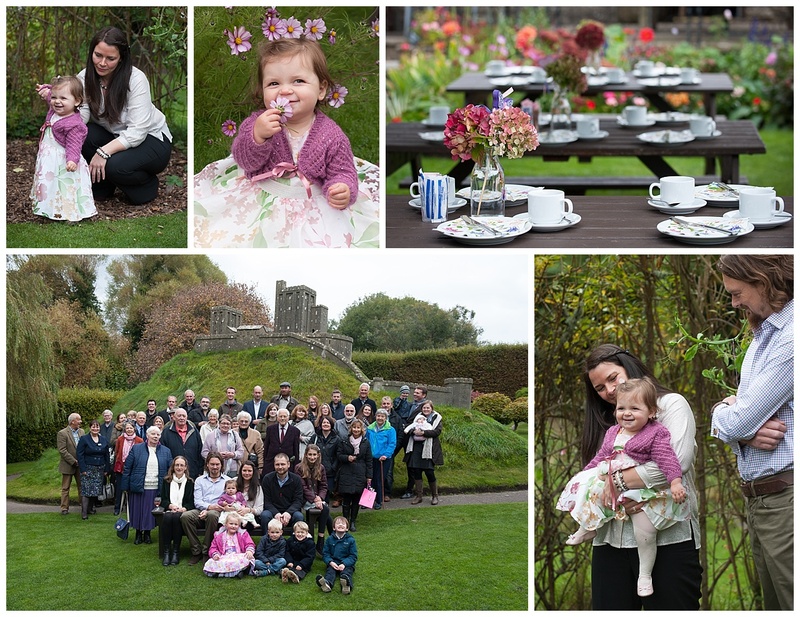 The ceremony below was just beautiful, it was held at the Corfe Castle Model Village in Corfe where the family live, it was a lovely meeting of the two families as they celebrated with morris dancers and afternoon tea. 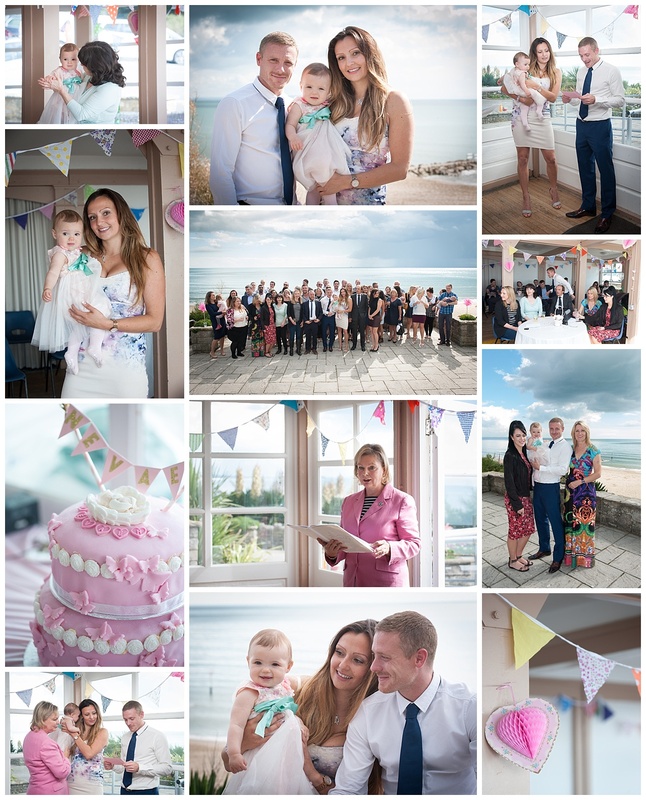 The photos below were taken at Branksome Beach in Bournemouth, another gorgeous location and a beautiful celebration of love with individual promises read out by each chosen adult. The Naming Ceremony was followed by an BBQ on the terrace over looking the sea. 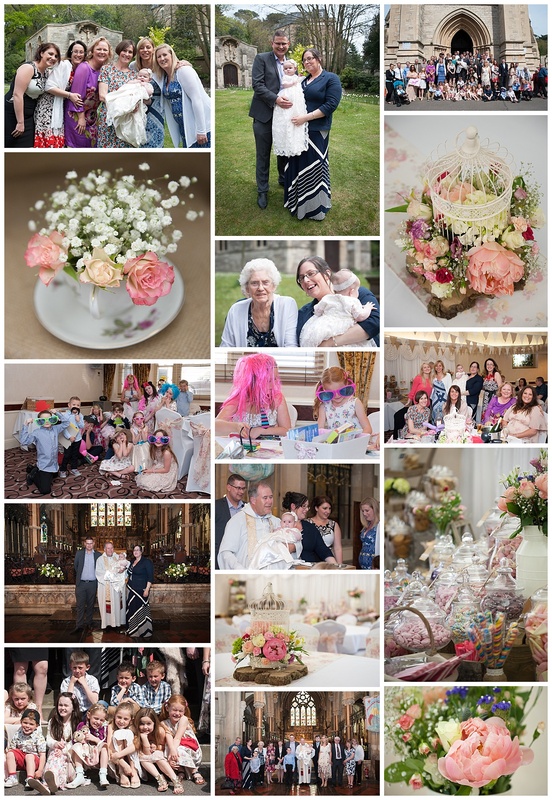 The photos below are from a lovely Christening in Bournemouth where 6 lovely Godmothers were chosen to guide little Emeilia through her life, one very lucky lady to be so loved. 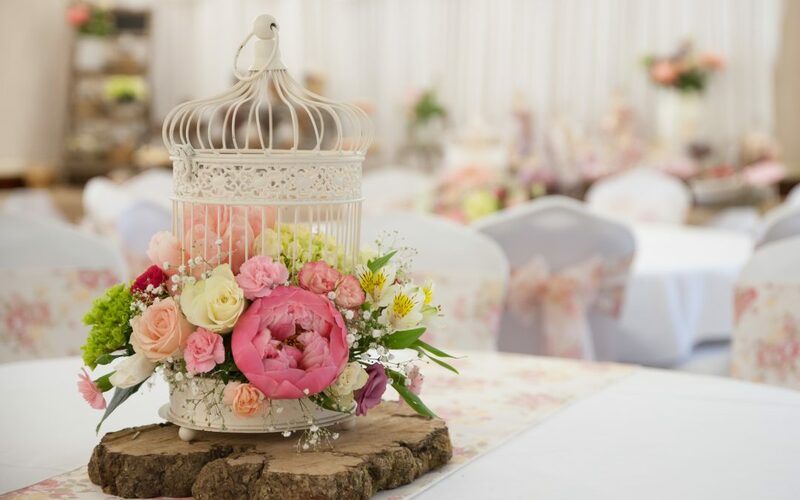 The ceremony was a traditional church ceremony followed by a wonderful, happy celebration at The Norfolk Royal Hotel in Bournemouth beautifully styled by Tigerlilly Occasions in Bournemouth complete with sweet trolley and candy floss and fun and games for all the children present. If you are planning an event and are looking for naming Ceremony photography in Bournemouth or Christening Photography in Bournemouth then give me a call.